I felt like this gif was appropriate. 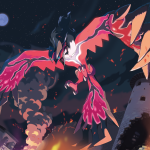 @Nightfox-- Actually did you notice that Kyogre seems to have a rendition of the Magma logo on its fins? Granted I can guarantee it's a coincidence, but I thought it was cool! I think it just looks that way because it's red. I'm so excited, goshdiddlydarnitdang. ;; Can it be November already? Personally I wouldn't mind Grass/Dragon. I mean, itza friggin lizad. I just think Flying type would be neat. Maybe even Grass Water? Like a basilisk? Yes? Maybe? No? No. And holy bananas 3d Maxie. They better keep the teams. Or at least Team Magma. I need a game with Maxie in it. He needs backstory, or something. Just more attention in general. Archie was pretty meh IMO. Not Lysandre terrible (sorry Flair lovers) but not amazing LIKE MAXIE WHO IS SO BOSS AND AWSHUM. 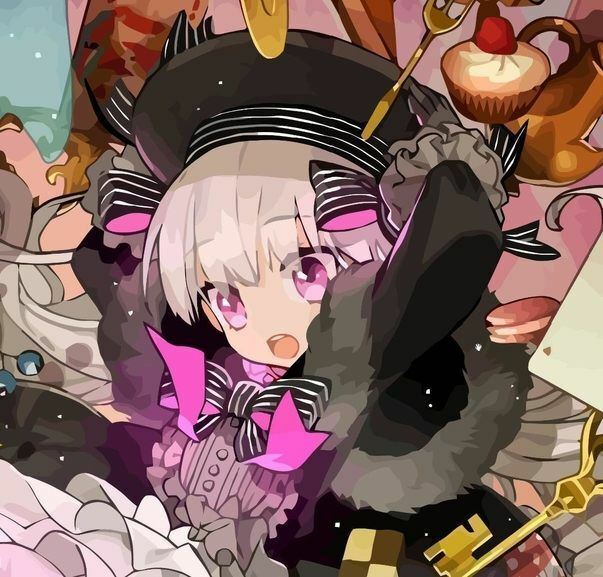 He was just such a cool boss, along with Tabitha who is among my favorite admins, who, by the way, deserves some official art along with the other admins. This is why we need remade Hoenn. Wait a second... That logo on Kyogre and Groudon's arms... It appears to be a combination of the Team Magma AND Team Aqua logos! It has the Aqua logo at the top, and ends with an M-shaped bottom. Could this mean the teams merge to control the world? It says about a new land/adventure. Maybe it isn't focused on Hoenn. Or perhaps it will be expanded. I hope kyogre and groudon will be unique in some way. Won't be the same to just transfer old ones ya know. Want some reason to collect them. Megas maybe? I'm hoping for different forms. It says about a new land/adventure. Maybe it isn't focused on Hoenn. Seriously is it November yet? 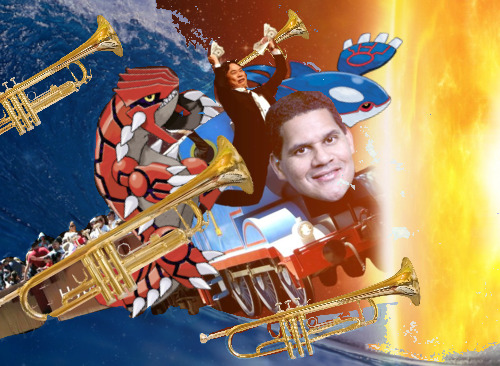 Though, Corocoro is due to come out soon, I can almost bet there will be some details about the new games in it. This month's already leaked, but next month's, which'll probably leak in ten-to-fifteen days, is sure to have spoilers. And I really hope the secret bases will make a return! And if Secret bases do make a return, I think being able to Streetpass swap them will be really neat! The hype is all fan-base made from speculation and fan art. Nintendo just had to say "maybe". Oh my gosh yes, they so need to do this if they haven't already. Oh man 10-15 days is a long wait, but I'll camp out in hopes of some new info. As already stated, it's amazing how much hype is coming out of a video with sound effects and pictures of the box art. If secret bases make a return WITH streetpass capabilities, I will freak out. That would be AWESOME. Some of these pictures I'm seeing I can't get over it, oh goodness. And the trumpets are one of the most exciting parts ever ghghghhh. I want to hear this music all updated and fancy. And ultra orchestra intense trumpets are 100000% necessary. I hope they don't change that. ;; I would be much disappoint. Do you want to know what I just found out too? "On May 7, 2009 it was revealed that the highly popular games, Pokémon Gold and Silver, would be re-released on the Nintendo DS with the new titles Pokémon HeartGold and SoulSilver." somETHING IS FISHY HERE. Gosh dangit Pokemon Co.! 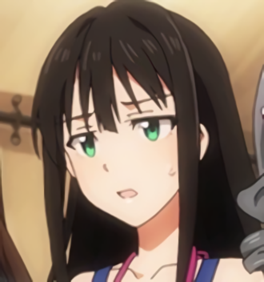 I wonder though when The Pokemon Co. will actually release a REAL trailer. I'm really eager to see how things look and whether or not it's really going to be taking place in Hoenn. Because I really want to see Sootopolis. And Lavaridge. Can we still go in little sand cocoons by the hot spring? SO MANY QUESTIONS. 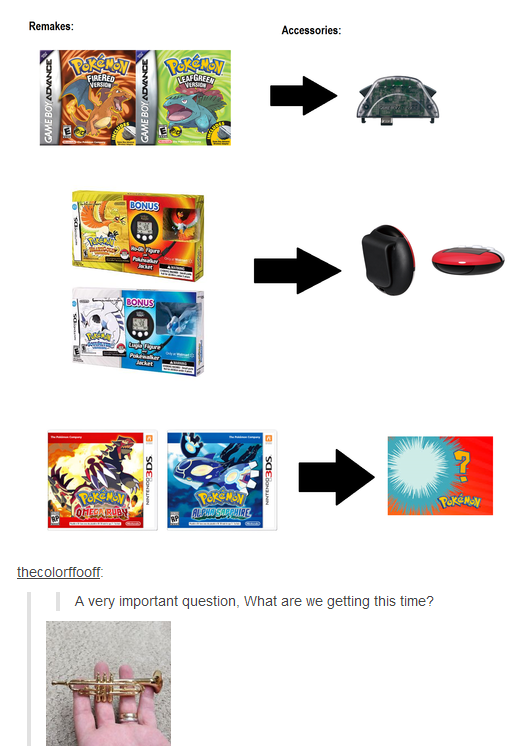 So based on this, in five years Sinnoh is confirmed? 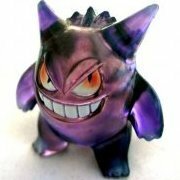 I couldn't imagine how awesome it would be to have 3D Pokemon following us around! Especially legendaries! They'd be huge! I wonder how they'd get that to work-- but that does sound insanely awesome. Oh my goodness I found out about this earlier this morning. I'm super excited and know absolutely nothing! I know I'm getting Omega Ruby, though, just because I played Ruby when I was younger. What do you mean my Wailord doesn't fit in the Pokemon Center? 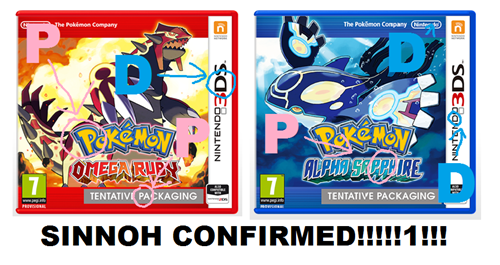 It was just confirmed that the new games are in fact full remakes of Ruby and Sapphire. AWESOME! Have you noticed how Groudon/Kyogre look different? Also, Delta Emerald possible? Oh man, I'm pretty excited. I'm probably going to get Sapphire and start with Treeko. Or maybe, perhaps, Kyogre/Groundon have a Omega/Alpha stone that they are holding that changes their design and powers.